Getting started with a Blackmagic product? Ask questions here about setup and installation. 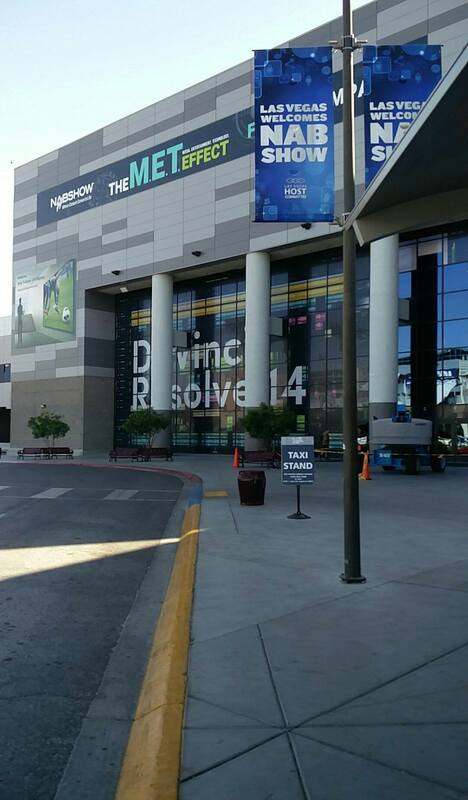 A thread to collect highlights from NAB 2017, April 22-27. A complete set from one to ten stops starting at $449 for a 4x5.65" filter. I suspect these are similar to other high quality IRND filters in that the attenuate infrared wavelengths the same as visible wavelengths. Now to include two new servo zoom lenses with 1.2x and 2x focal expander. UA14x4.5, UA18x5.5, and studio zoom UA27x6.5. Good idea Rick, the Fuji video shows the resolution difference nicely also. Last edited by Denny Smith on Thu Apr 06, 2017 7:41 pm, edited 2 times in total. Chimera and Zylight has a new Active Diffusion tool! Tim, I already like Zylight, and this could be a game changer for some. Added to the wishlist. Nice! I want to know more about the Silk 305 and 410. My Dracast LED500 outputs the same LUX as the Silk 210 roughly. Although, I have a feeling the Silk is softer. I read the American Cinematographer article on Rogue One. It was truly inspiring hearing what they had to say about LED lights with regards to the future of cinematography lighting. Greig Fraser ASC wrote: I put the argument forward to production and to the rental company that, with these lights — the Digital Sputniks, the Creamsources, the Arri SkyPanels, the Litegear LiteRibbon — there were enough LED tools to do an entire movie with just LEDs and natural light. Everybody agreed, and a lot of the cost was offset by big savings in energy, wiring and gels. I'm going to move 100% in the direction of LEDs from now on. So any Fresnel lights will now be LED based if I can. Chrosziel QuickLock Tripod Plate for cameras with V-mount, 3/8" + 1/4" threads. Ultra-lightweight made of aircraft-grade aluminium, low-noise locking mechanism, play-free fixing of the camera by push and pull. L. 150 mm, weight 158 gr., payload 3 kg. The central clamp first fixes the articulation and second the ball pivot. The 90° slot is rotating and can be fixed. The QuickLock Tripod Plate looks very promising to me, especially if it is really play-free as my rigged camera is quite heavy and my Triad VTA-14 tripod plate is - well - not so good. Buy cheap buy twice - again, sigh! Robert, is that going to work with the BMD Shoulder Mount kit that normally attaches to a Sony VCT-14 plate? Tim, which issue of American Cinematographer has the article discussing LEDs on Rogue One? Looks like it is a replacement for the VCT-14 plate Rick, and should work. rick.lang wrote: Tim, which issue of American Cinematographer has the article discussing LEDs on Rogue One? February 2017 issue. Some really great information in there about how they shot the film with the ALEXA 65 using Panavision Anamorphic lenses. They give resolution dimensions and everything. What shocked me most is that all the VFX are still done at 2K! Also, DaVinci Resolve was used to grade the movie... of course. Wow that Chrosziel QuickLock Tripod Plate is super expensive. Better be worth the price tag. If it's as lightweight as they claim that could be very worth it however. Still, it's really pricy. timbutt2 wrote: I'm going to move 100% in the direction of LEDs from now on. So any Fresnel lights will now be LED based if I can. I recommend the Rayzr7 LED Fresnel for when you need a bright source. I haven't seen anything else on the market that compares in terms of light quality and output at the price point (there is the much brighter Hive plasma light and a huge Mole LED but they are nearly 10x the price of the Rayzr). The daylight balanced 300 watt Rayzr7 is equivalent to about 600 watt HMI. In cases where I don't need as much light as the Rayzr puts out, I still prefer the classic Dedo 650 (with a dichroic filter for daylight) because it can be shaped and spots so much better than any of the LED units I've seen. However, sometime soon I will be receiving the Hive Wasp 100-C LED that can take a mini source 4 front (in addition to other lenses and modifiers), so I'll report back on how it compares to the Dedo 650.
rick.lang wrote: A thread to collect highlights from NAB 2017, April 22-27. I don't think they're $449 for an entire set. I think they're $449 per filter. I think you are correct Paul, no sets listed at B&H, just individual filters, no price listed either. Guys, I did say $449 for a filter. Not a set. I mentioned they offered 10 filters so that's a very complete set one can acquire. Sorry if I didn't communicate the two points clearly. rick.lang wrote: Robert, is that going to work with the BMD Shoulder Mount kit that normally attaches to a Sony VCT-14 plate? Rick, yes it will work with the shoulder mount. I am planning to buy this plate soon because I am fed of my Triad plate - which costs a third and is built accordingly. timbutt2 wrote: Wow that Chrosziel QuickLock Tripod Plate is super expensive. Better be worth the price tag. If it's as lightweight as they claim that could be very worth it however. Still, it's really pricy. I have not found a data sheet yet telling how much the new lightweight design weights. But for me more important is the play-free design and it's longevity - the latter for which Chrosziel is well known. Jamie LeJeune wrote: I recommend the Rayzr7 LED Fresnel for when you need a bright source. FYI: From the specs I have found on the Rayzr7 300 it is also equivalent to a 2000 Watt tungsten light. Jamie LeJeune wrote: In cases where I don't need as much light as the Rayzr puts out, I still prefer the classic Dedo 650 (with a dichroic filter for daylight) because it can be shaped and spots so much better than any of the LED units I've seen. However, sometime soon I will be receiving the Hive Wasp 100-C LED that can take a mini source 4 front (in addition to other lenses and modifiers), so I'll report back on how it compares to the Dedo 650. I have the Dedo DLED12 which has great light qualities (but a rather mediocre output for a 225W LED). And I have ordered a Dedo DLED7 Turbo (90W) which can be operated from battery and AC. The Rayzr7 is next on my list of investments. timbutt2 wrote: What shocked me most is that all the VFX are still done at 2K! And most TV is shot 1920. Robert, thanks again for the information on the Rayzr7. A 300 watt device the equivalent of 2K tungsten is very impressive. Looking forward to hearing how you like it in practice. So many options when it comes to lighting, but real use by real people beats all the typical hype. When I first started looking at lights, I thought I'd go with Dedo, but LED seems to be much improved in the last year or so, and NAB 2017 justaround the corner. Yes, but what shocked me about Rogue One VFX being done at 2K (2253x944) was that they output the movie as a 4K DCP. I saw it on a big IMAX screen in 4K, and yet, the VFX held up enough that I'm shocked. I didn't realize seeing it in theaters that the VFX weren't 4K. Most TV is shot 1920, and output at 1920, so it wouldn't surprise me to learn any TV VFX are done at 1920. I'm simply saying for a big budget movie like Star Wars that was shot in 6.5K (6560x3100) for output at 4K the VFX were still 2K. Via American Cinematographer: "I later contact Mike Blanchard, Lucasfilm’s director of postproduction, who provides an overview of Rogue One’s workflow. The Alexa 65 was shot in its open-gate format of 6560x3100 pixels, which yielded full-resolution frames at a 2.65:1 aspect ratio when the 1.25:1 anamorphic ratio of the Ultra Panavision lenses was de-squeezed. The ILM working resolution for most visual-effects shots was 2253x944 pixels (with 10-percent padding for repositioning and 3D conversion); ILM then delivered shots for the digital grade at 4506x1888 pixels, which reflected the final 2.39:1 aspect ratio. The DI, supervised by Company 3’s Shane Harris and performed by colorist Mitch Paulson at EFilm with Blackmagic Design’s DaVinci Resolve, was done at 4506x1888 with center-crop extraction for a final delivery of 4096x1716 pixels." Tim, I stopped worrying about the price of certain things because I just again learned that cheap won't do it for my needs ... Robert N.
I agree with you on this Robert, especially for bits used with more than one camera, and something like a VCT plate that holds your entire rig... is Not something to go cheap on. The new plate works great. When I got my AF100 back when, the first thing I did was loose the thin mostly plastic baseplate, and replaced it with a thick custom milled aircraft grade aluminum plate, with three proper mounting point holes in the bottom. The Chrosizel accessories I have, have been very good investments also, especially the Fluid drive zoom/follow focus controller. timbutt2 wrote: Yes, but what shocked me about Rogue One VFX being done at 2K (2253x944) was that they output the movie as a 4K DCP. I guess that the point I was making that for all the "4K" noise about, most of the content we watch, even in cinemas is "only" 2k / 1920. Many cinemas are still only displaying 2K DCI / DCP as well. I consider 2k / 1920 to be the same resolution. Of course it's nice to super-sample and acquire from a better resolution, but the actual bandwidth and cost even on a big budget film chokes most. More so in TV where you're shooting 6 hours of camera originals every single day for weeks and weeks. Do you know who sells them in the US? I can't find any dealers. John Brawley wrote: I guess that the point I was making that for all the "4K" noise about, most of the content we watch, even in cinemas is "only" 2k / 1920. Many cinemas are still only displaying 2K DCI / DCP as well. I consider 2k / 1920 to be the same resolution. Yeah, other than for marketing (i.e. because some clients think that it's necessary, even though it's not) I mostly stopped worrying about 4K when I read about Skyfall. Roger Deakins actually noted that they shot that in 2K on Alexas, and uprezzed to 4K for IMAX, and he still thought that it looked too sharp... so he had the post house soften it a bit. Definitely makes the 4K silliness seem silly. Never mind the 8K silliness. Nice for VFX and matte paintings I suppose, but that's about it. How's the spectrum on those LED Dedos? Robert Niessner wrote: FYI: From the specs I have found on the Rayzr7 300 it is also equivalent to a 2000 Watt tungsten light. As JB points out, even at 2K it all still looks amazing. I was lucky enough to see one of my feature docs that was shot and mastered at 1080p play through a 4K Christie in the Letterman Theater at Lucasfilm. The projection system was upscaling to 4K as it played and I had never seen the film look so lovely. It was a revelation. Why bother with mastering at 4K when the upscale looks so damn good on screen. Good point Rakesh! I loved Skyfall, and thought it was gorgeous in IMAX. Spectrum is excellent. I got the latest measurements from Mr. Dedo Weigert himself. No, the comparison is to an un-gelled tungsten. You can check that for yourself in the ARRI Photometrics app. You can see the Rayzr 7 is 1.35 times brighter than the ARRI T1 and 63% of the ARRI T2. So what I wrote above was not completely true - it is somewhere intbetween the 1000 W and 2000 W.
FYI: If you are using the European 230V lamps the output from the T2 tungsten is a bit lower. timbutt2 wrote: Good point Rakesh! I loved Skyfall, and thought it was gorgeous in IMAX. Yep... all the more reason to stop worrying about resolution and start thinking about lighting. I thought it was gorgeous also, though I didn't see it in IMAX (unfortunately). First time I saw it was in a regular theater day it opened on November 9th. And then, because I loved it so much, I saw it a second time five days later and made sure to see it in the IMAX theater. Totally worth it. And yes, lighting is key. I think lighting is the most important aspect to cinematography, with a strong emphasis on lenses after. I've always considered cinematography painting with light. timbutt2 wrote: And yes, lighting is key. I think lighting is the most important aspect to cinematography, with a strong emphasis on lenses after. I've always considered cinematography painting with light. IMO anyone who doesn't believe that cinematography is painting with light is just a camera dongle. 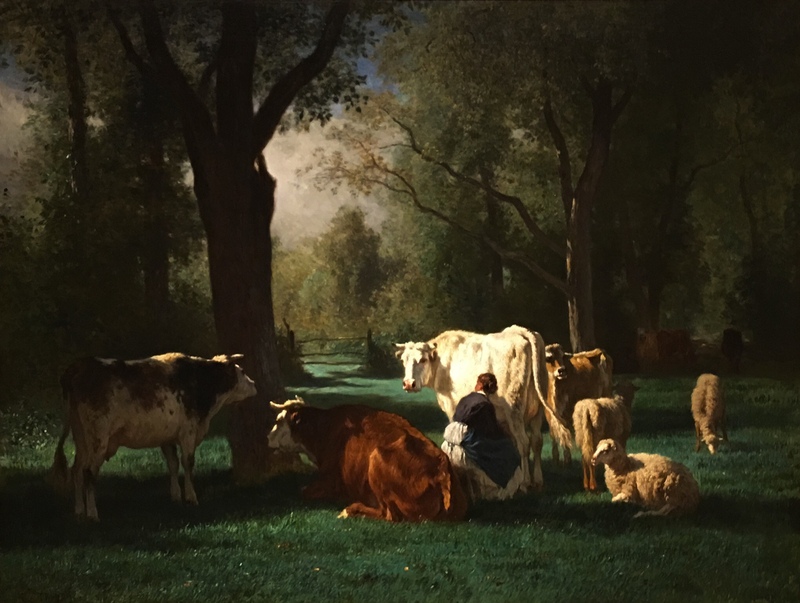 Remember that painting I posted in the Cinematography thread, the one with the cow illustrating high dynamic range in an oil painting? That was quite an effective example of a master painting with light. Point taken though that we often put too much emphasis on camera sensor, lenses, post. Light and sound and design all contribute to every film that we enjoy over time. And the most elusive but indispensable quality: a good story. Believe we should also add the considerable artistic touch of the colorist and their effect on final look. Rakesh Malik wrote: IMO anyone who doesn't believe that cinematography is painting with light is just a camera dongle. And despite my best efforts I am still a camera dongle. Such advice falls into the "true but useless information category." Such as "buy low, sell high", "watch what you eat", "just cheer up", "just be yourself". That's right, New Cooke S7/i Full Frame Plus! P.S. I am now in support of Blackmagic making a VistaVision Sensor with more resolution. These lenses look so good! Also, for VFX Plates and a lot of VFX Blockbusters VistaVision has been incredibly useful. Before Star Wars went digital they shot film, and used VistaVision a lot. So, I'm all for VistaVision sensor from Blackmagic with these amazing lenses. Happy for you, Tim, but a reach beyond my grasp. Last edited by rick.lang on Thu Apr 20, 2017 4:29 pm, edited 1 time in total. That's not true. You can use the camera you own to get yourself hired while still being a skilled craftsman who can paint with light. Eli, I can't find Atlas Lens Company, let alone find Atlas Orion Anamorphic on the web. Do you have a link? rick.lang wrote: Eli, I can't find Atlas Lens Company, let alone find Atlas Orion Anamorphic on the web. Do you have a link? Thanks, Eli. Hope you update this thread when product and prices are officially announced next week. I wonder if he's going to price significantly lower than SLR Magic Anamorphot Cine primes (35, 50, 70mm) or just significantly lower than the 'big' established players. Will be interesting to learn more at NAB so a great tip! Last edited by rick.lang on Wed Apr 19, 2017 10:23 pm, edited 1 time in total. Anyways, a lot of very nice lenses being announced and as well those new lights. Rick, I must say that Fiilex P360 Pro Plus looks super nice. 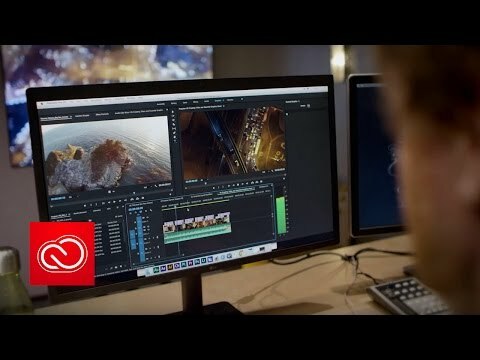 EDIT: Do you know what, just because here is the Adobe video. Eli, are they 2x anamorphics or 1.33? Ryan Hamblin wrote: Eli, are they 2x anamorphics or 1.33? Price increase on both Raven and Scarlet W.
Effective immediately, RED RAVEN to $8,950 (£7,970 & 9,030€) and SCARLET-W & SCARLET-W Monochrome to $12,500 (£11,130 & 12,615€). If you already have a deposit in you will pay the old lower price when your camera is ready to ship. All deposits placed after the time of this post will be paying the new prices. Existing deposits also are entitled to the old pricing for upgrades, i.e. if you have a Raven deposit and want to upgrade to Scarlet-W before your Raven ships you can do so to the old Scarlet-W price of $9950. Last edited by Peter Odio on Thu Apr 20, 2017 4:29 pm, edited 1 time in total. Adobe has announced the next round of updates to their video tools, including a few intriguing updates to After Effects CC 2017. We’ll review the major new features here, but will also spend some time musing about their implications. This release has something for everyone, including a whole new way to collaborate with editors and the addition of some of our most-requested features from users.